New Zealand Teen Fired Shot Near Queen Elizabeth II in 1981 - Integration Through Media ....! 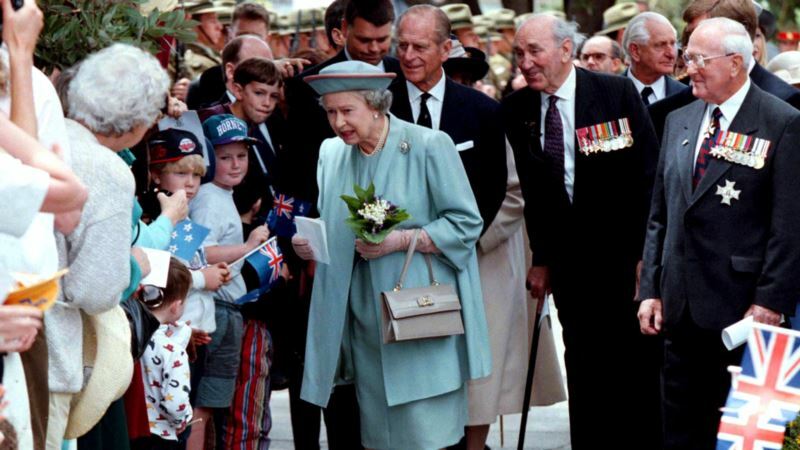 (VOA): A troubled teenager who wanted to assassinate Queen Elizabeth II during her 1981 visit to New Zealand fired a shot near her motorcade, newly released documents show. New Zealand’s internal spy agency, the Security Intelligence Service, released the previously classified documents to the news website Stuff, shedding new light on the historic incident. The documents say 17-year-old Christopher John Lewis wanted to kill the queen but didn’t have a good vantage point or a sufficiently high-powered rifle. He fired a single wayward shot which likely passed above the crowd. At the time police told journalists who heard the noise that it was a sign falling over, and later said it might have been firecrackers. Police appeared to downplay the seriousness of the incident, and only charged Lewis with possessing and firing a weapon in public. He would later kill himself at age 33 while in prison awaiting trial on murder charges in an unrelated case. When questioned by police at the time, Lewis claimed to be part of a group called the National Imperial Guerrilla Army that was carrying out terror operations. He said there were two other members called the Snowman and the Polar Bear, but later admitted he’d made them up. The documents say police found a .22-caliber rifle with a discharged cartridge on the fifth floor of a building after Lewis told them it was there. The documents say the angle of fire and range would have made it difficult for Lewis to shoot the queen, and that buildings would have screened her for all but a few seconds. During a later visit by the queen, according to Stuff, police were so worried that Lewis might make another assassination attempt they paid him to go on a 10-day vacation to a remote island. They gave Lewis free accommodation, daily spending money and the use of an SUV. The news website said people close to the case thought Lewis got off lightly due to political interference and worries that New Zealand would lose future royal tours due to the security lapse. Police said they would re-examine the case file in light of the interest in the case.